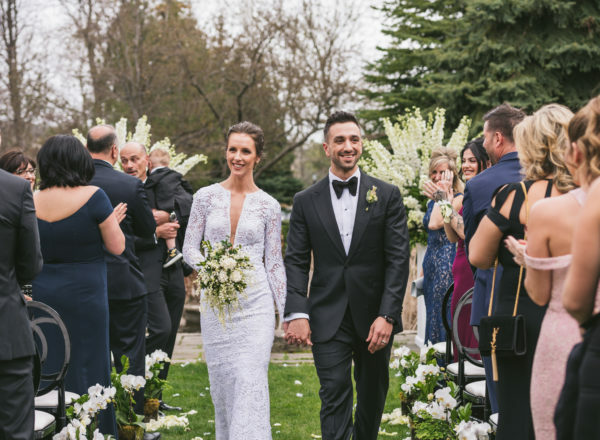 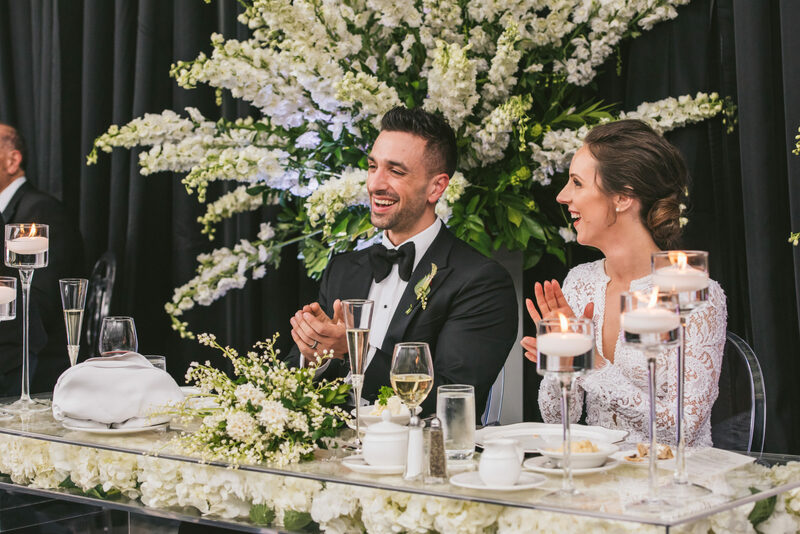 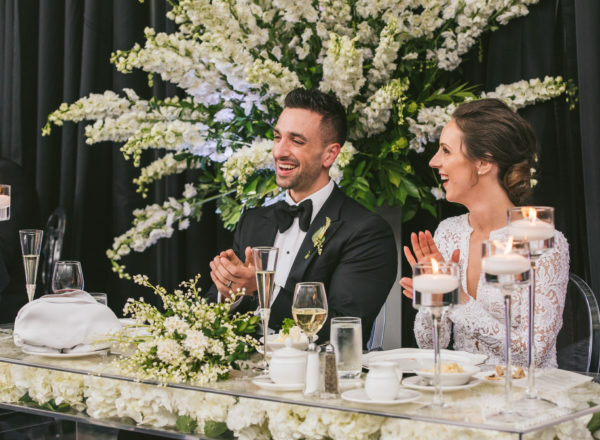 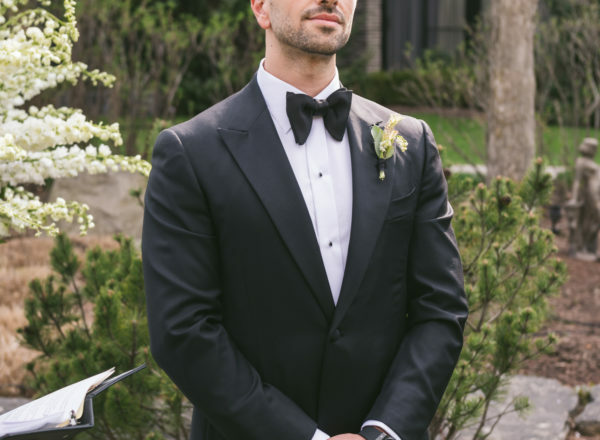 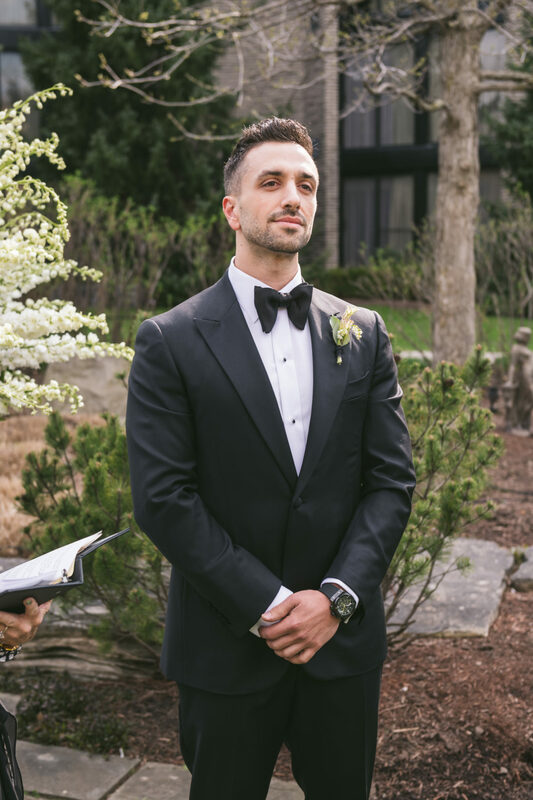 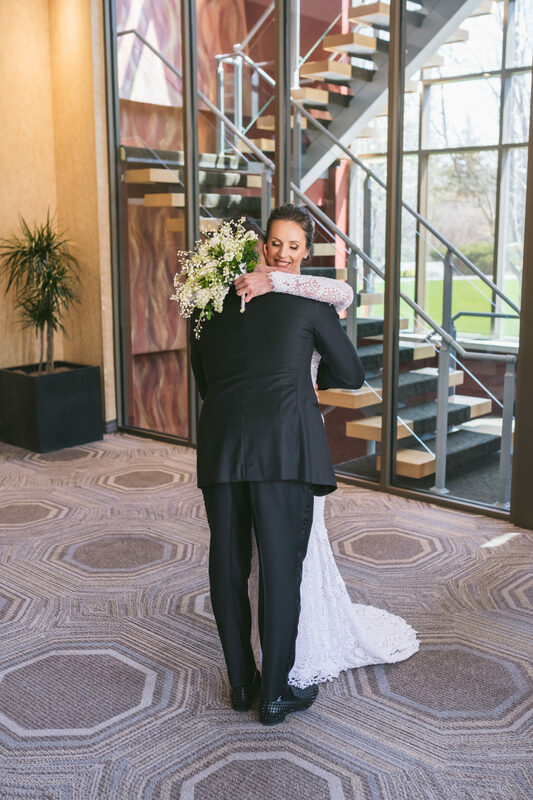 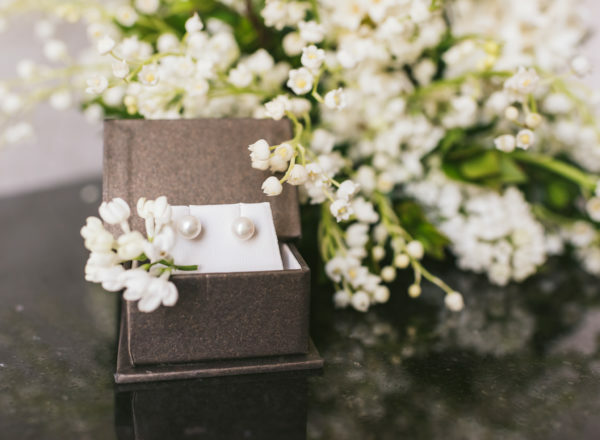 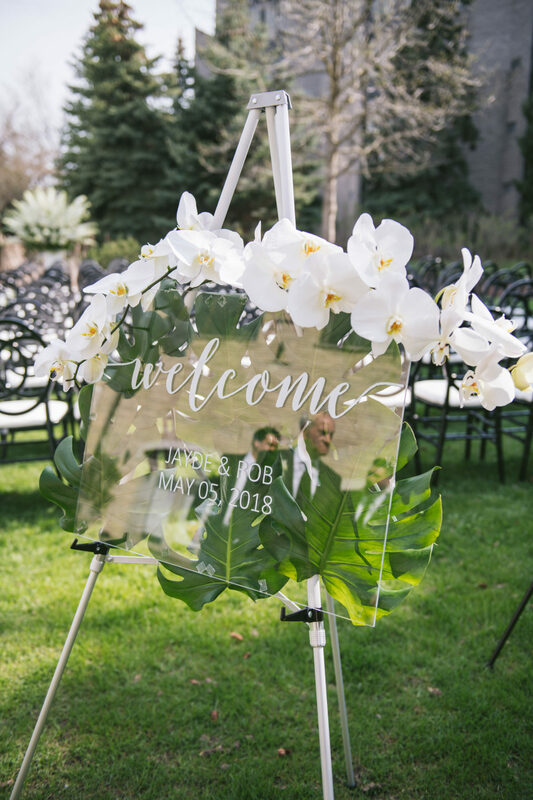 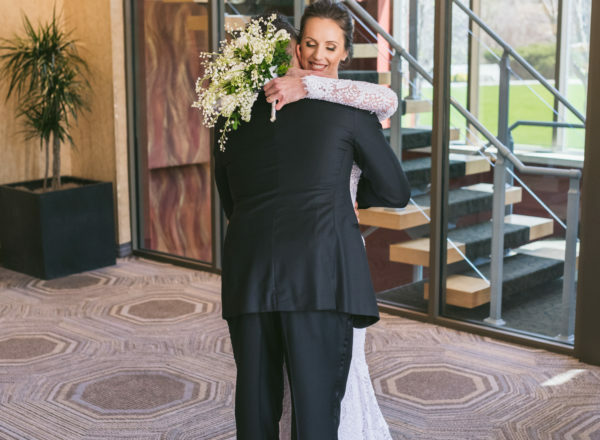 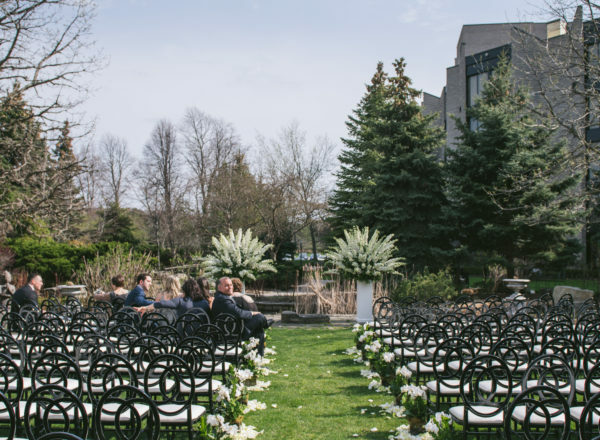 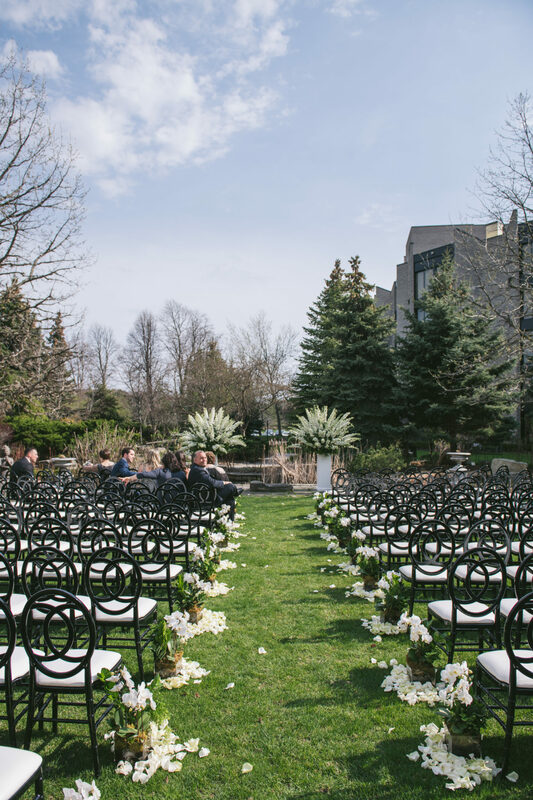 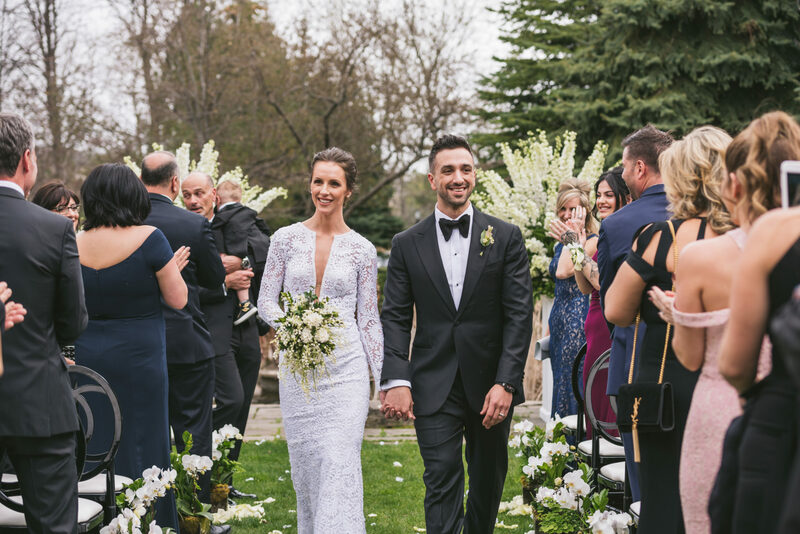 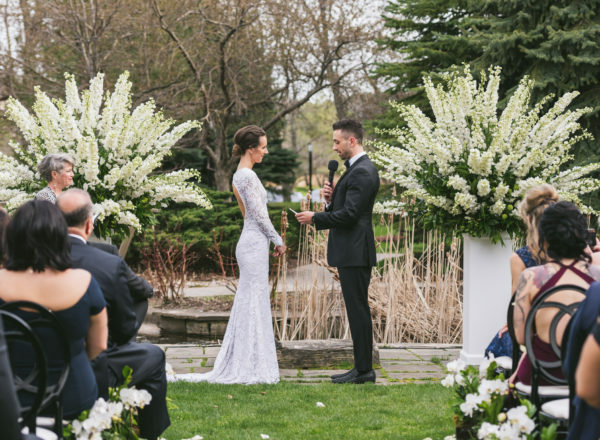 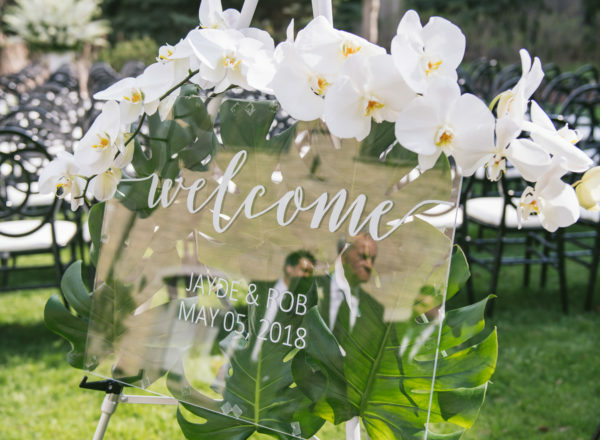 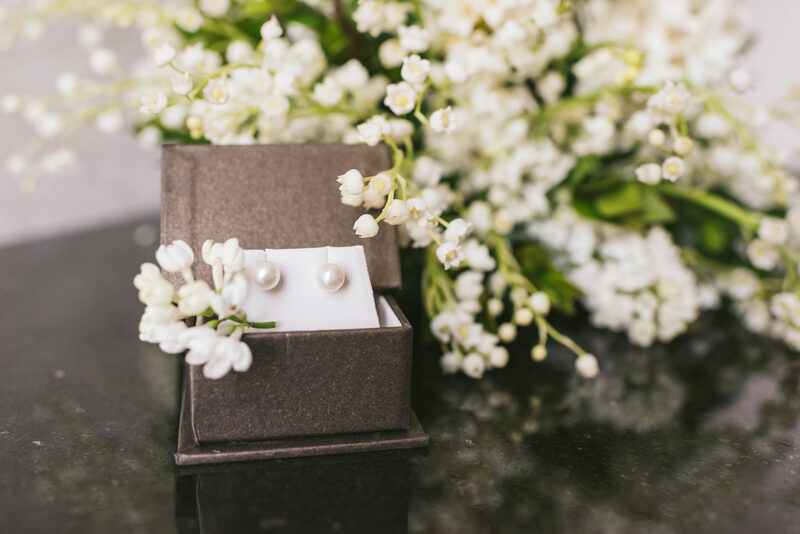 This early May wedding is the definition of timeless! 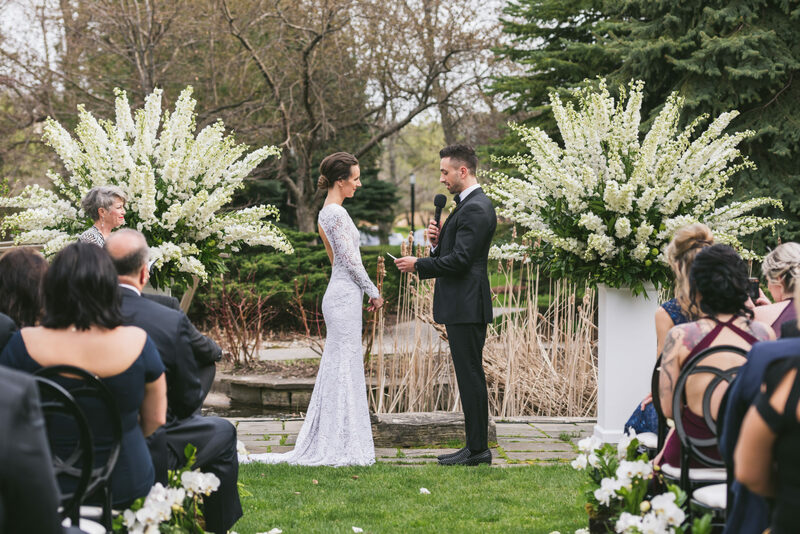 Jayde chose to carry a contemporary spin on the famous “Kate Middleton bouquet” and looking every part a prince and princess, they took their vows against a backdrop of towering white delphiniums at the end of an aisle lined with beautiful Orchids rose petals in the garden courtyard of White Oaks Resort and Conference Centre. 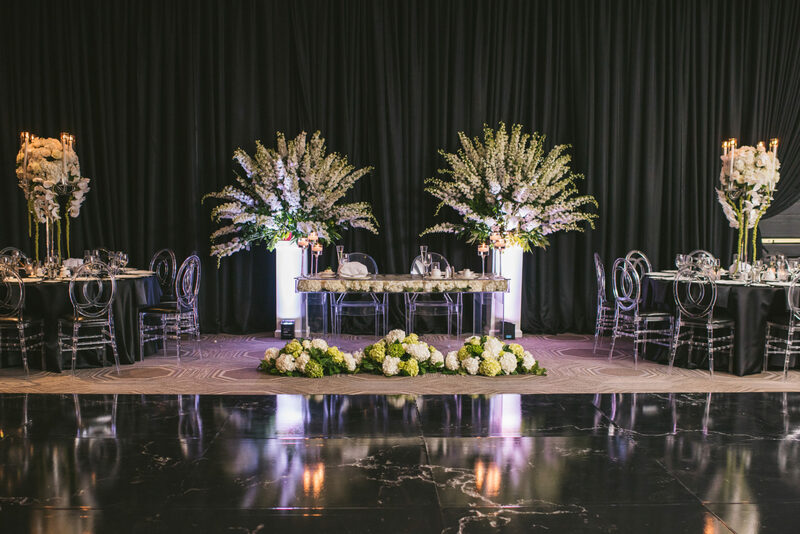 The ballroom was transformed into a wonderland of sophistication and elegance. 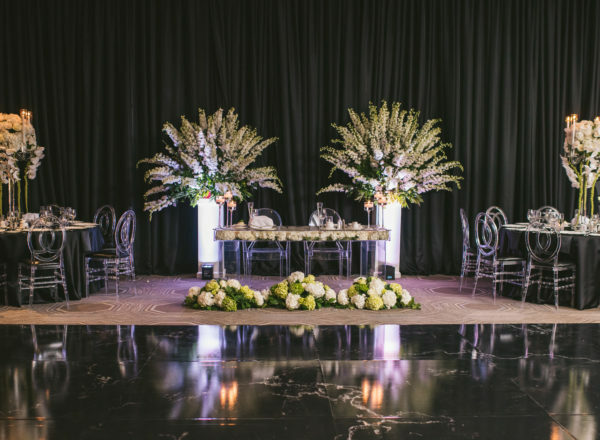 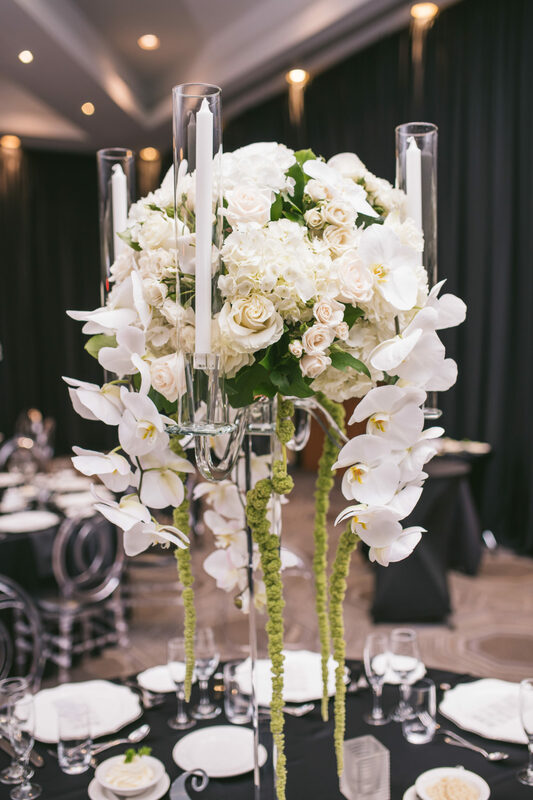 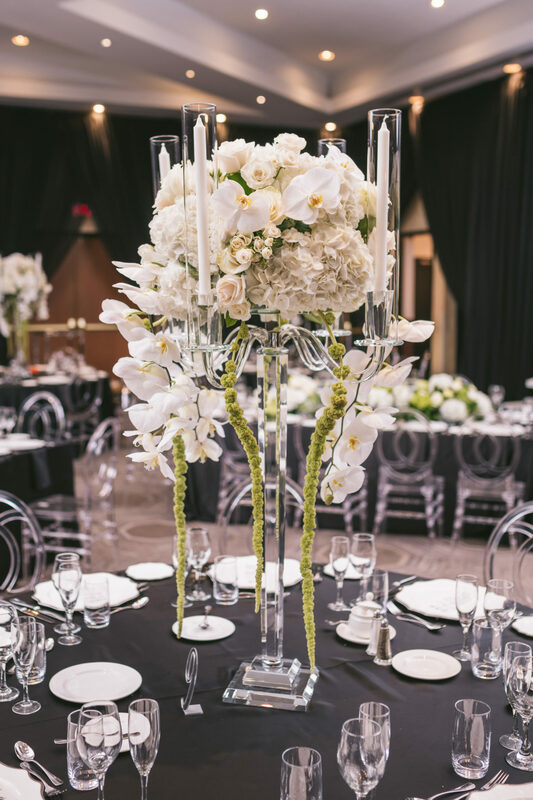 Completely draped in black linen the room was filled with towering mounds of white Hydrangea, Roses, Orchids and trailing Amaranthus. 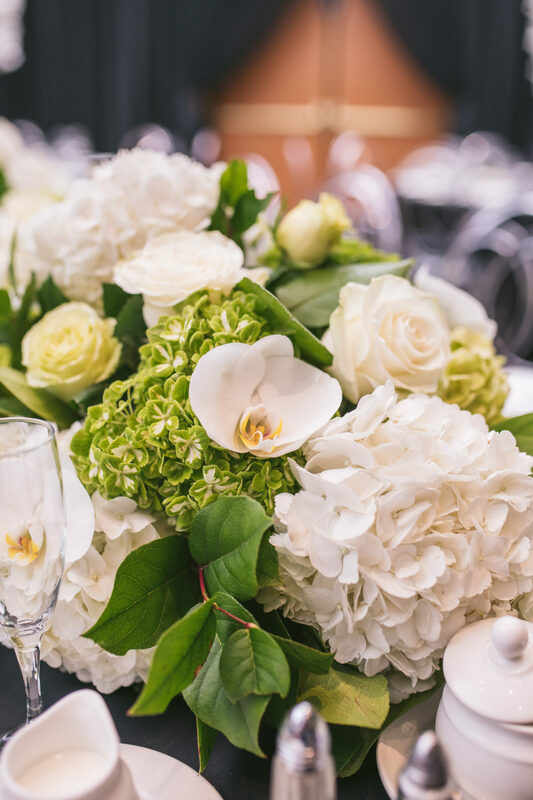 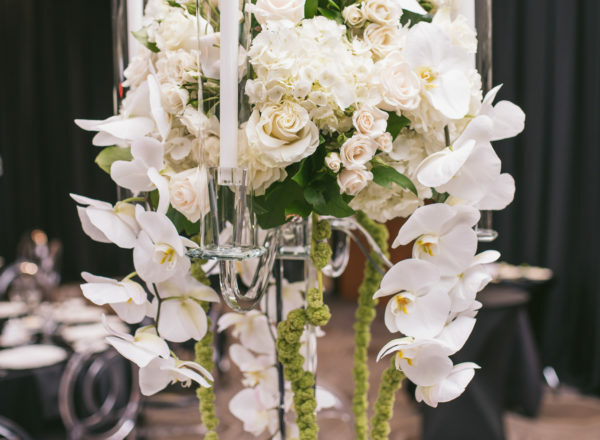 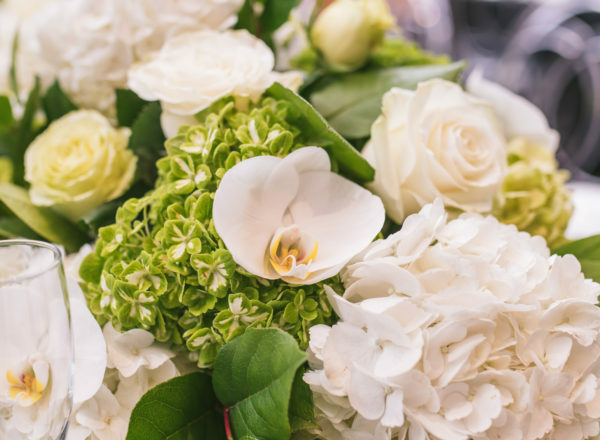 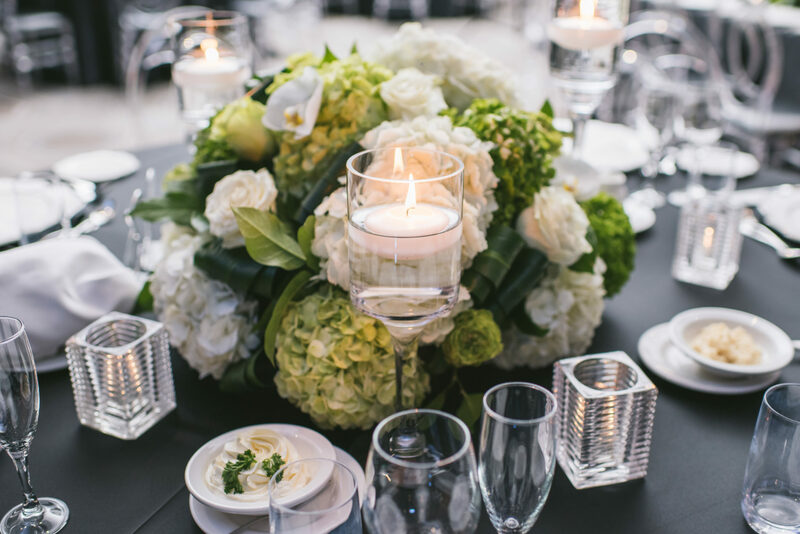 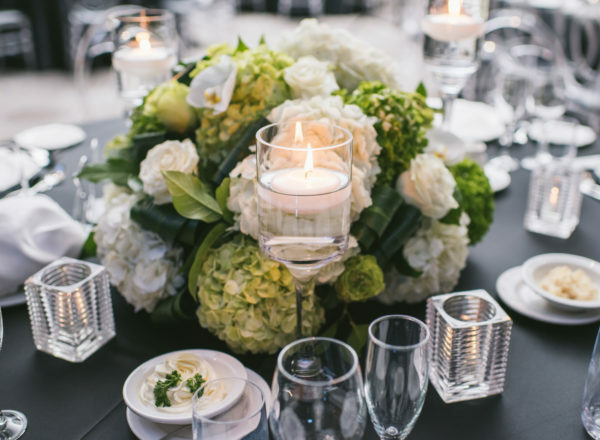 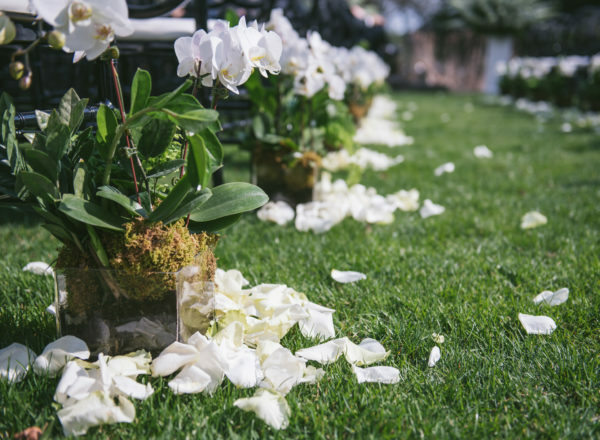 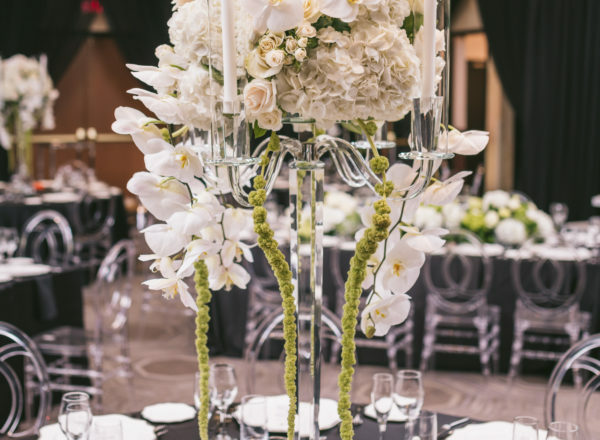 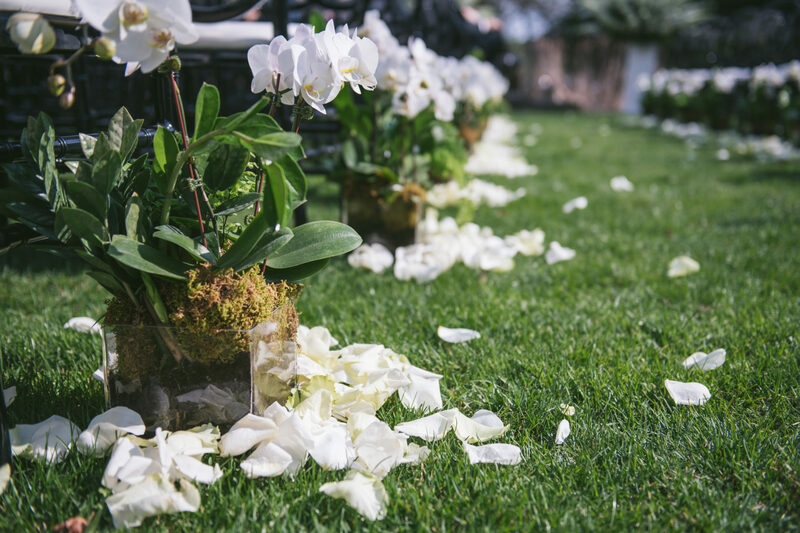 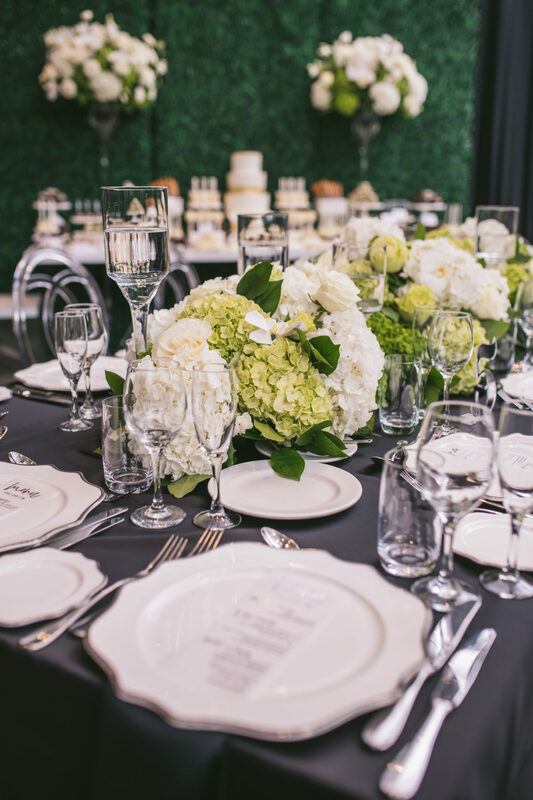 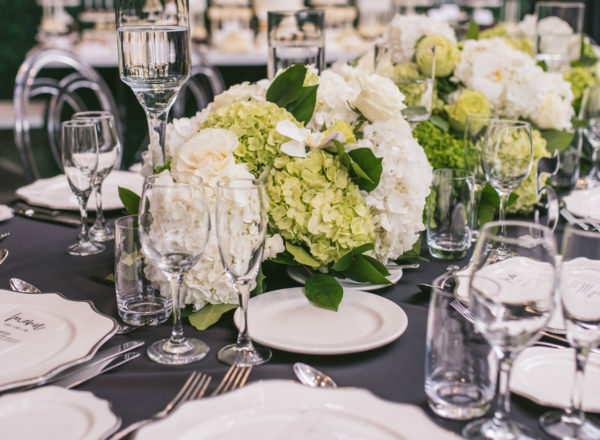 Harvest tables filled with mounds of white and green Hydrangea, Roses and Orchids. 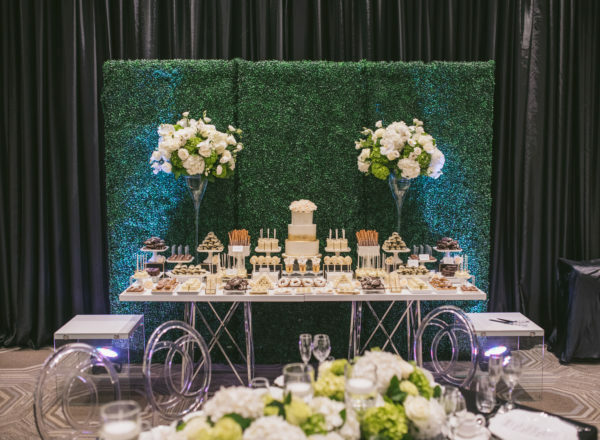 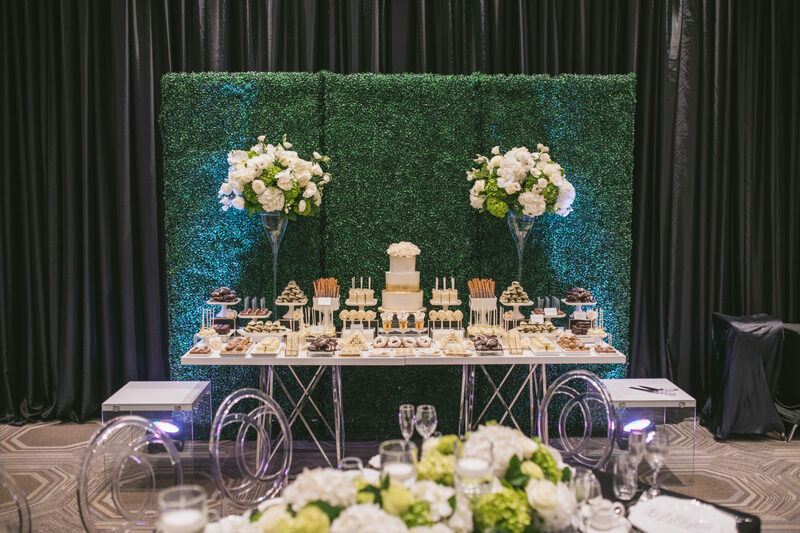 Boxwood walls accented with towering floral created the perfect back drop for a sweet table done to perfection. 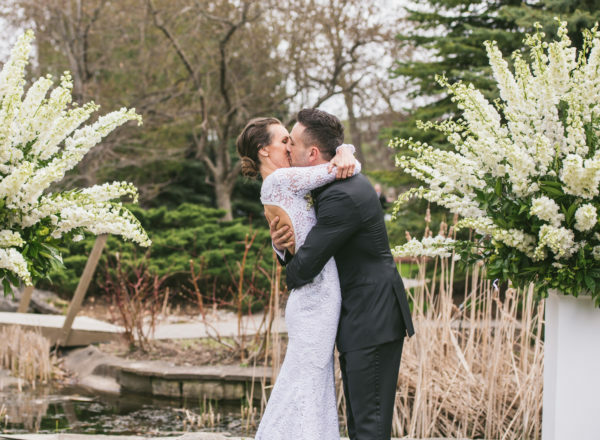 We wish this beautiful couple many blessings and a lifetime of love.